I don’t know how much blood I have lost from accidentally getting cuts on my fingers with either a chef’s knife or a cheese grater over the past two months. All I know is wherever the site of the bleeding is, it’s too far away from my entrails, unless I perform hara-kiri. Aside from that, it just occurred to me two weeks ago that julienning and mincing meat and vegetables into strips or pieces with a knife seemed a tedious and time-consuming process for a graduate student who should spend more time pursuing erudition rather than olfactory and gustatory indulgence. 2. Automation: A food processor is like a spectrometer without the detector. Not that I am lazy in cooking but as a graduate student, time is of the essence. So just plug your food processor and and individually put whatever vegetable you need for cooking. Press the button. Presto!!! You are done in 2-3 minutes as opposed to using a knife which will take you 10-15 minutes to get the job done. 3. Safety and Protection: One cool feature of the food processor is that it is covered. That way it protects your eyes from whatever lachrymose vapors released during chopping. (This is somewhat analogous to a pair of laboratory goggles except you don’t have to put on it because it’s the food processor that wears it.) In addition, to avoid any future possibility of getting cut, you can skip washing the food processor blades with sponge and detergent. Instead, use the dishwasher. 5. Practicality: If you are done with your graduate studies and you plan to go back to your home country that you no longer need it, sell it via Ebay or Amazon. That way, you will be able to partially retrieve your money. In other words, the food processor is your trusty kitchen sidekick. Nice article. How about reviewing a good electric knife? 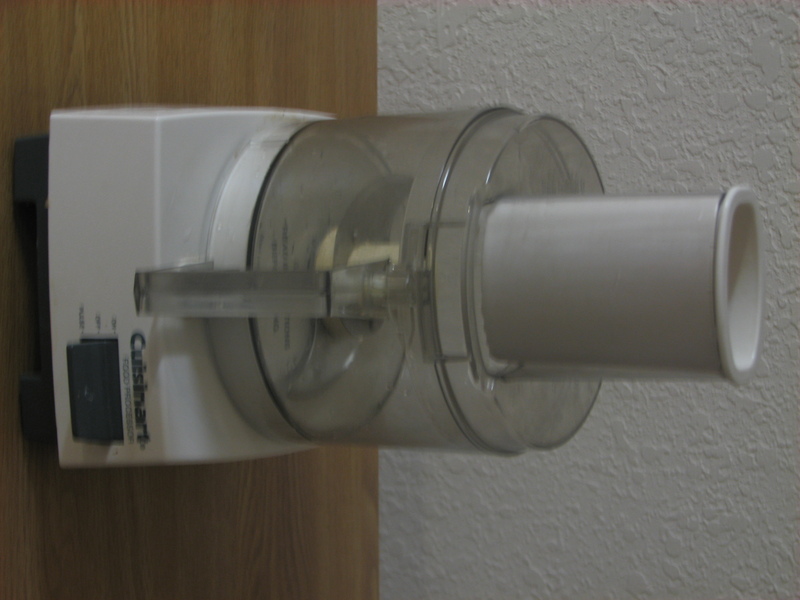 This is indispensable in carving very thin slices of roasts, hams, etc. I can’t find electric knives in the homeland unfortunately. I will write a review about it soon. I have been using a food processor since 1980 and have found it to be helpful especially in making my world famous cheese pimiento. I am now using the Ultimate Chopper and a mini food food processor which I also bought during one of my travels in San Francisco. Good luck in your other discoveries of practical cooking. For slicing, I still prefer a good chef’s knife. Or a handy mandolin. I actually don’t have a separate food processor here in Germany. I have a stabmixer that has a food processor connection. What I do want in the future are (1) A Thermomix, (2) A Kitchenaid stand mixer.